Diane is encouraged to "do something" after meeting the leader of a female resistance group whose aim is to sink POTUS' approval rating. 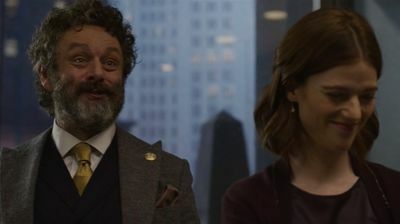 Maia and Blum's plan for a plea deal goes awry when Assistant State's Attorney Spencer Zschau (Aaron Tveit) takes over the case. Lucca receives a surprising new divorce referral while Marissa helps Julius find a campaign manager to support his run for federal judgeship.